The Board of Supervisors’ finance committee on Tuesday endorsed considering funding for one new synthetic turf field—if the School Board allows the county to test the schools’ existing artificial turf fields for dangerous chemicals. Supervisors and the School Board have batted the idea of building four additional artificial turf fields back and forth for months. 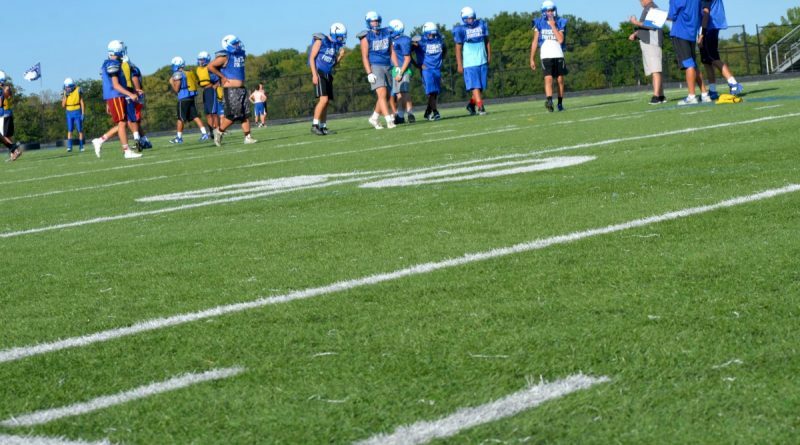 Supervisors, concerned about suggestions from parents that the crumb rubber infill in synthetic fields may be dangerous to students’ health, have said they will pay to test one field from each of the three manufacturers the School Board has used. Since the fields are School Board property, the county needs permission to test those fields, and the School Board sent that offer back with a condition that the county also pay to test three natural grass fields. Now, Supervisor Tony R. Buffington Jr. (R-Blue Ridge) said, the county might be able to force the School Board’s hand and conduct the tests. He made the motion recommending the Board of Supervisors consider funding turf fields only if the School Board allows testing. “I think now is the time to bring a motion like this, so that we can sort of hold their feet to the fire,” Buffington said. Despite concerns about carcinogens in crumb rubber infill, there have not yet been any conclusive studies nationally on whether that infill presents a health risk. Loudoun County Health Department Director Dr. David Goodfriend said some information from an Environmental Protection Agency study is expected by the end of the year, but the full study won’t be finished for years. In the meantime, student athletes and the School Board are insistent that the county pay to begin installing turf fields at the last four high schools in the county without them: Dominion High School in Sterling, Heritage in Leesburg, Freedom in Chantilly, and Briar Woods in Ashburn. Eleven public high schools in the county already have an artificial turf field with crumb rubber infill; most have two fields. Supervisors had previously delayed a decision on building additional turf fields until the fund balance discussion last night, when the county decides what to do with leftover money after an audit of its previous year’s budget. The School Board asked supervisors for $1.9 million to install synthetic turf at Heritage High School. School Board members also said they want to work with supervisors to come up with a plan to pay for artificial turf at the remaining high schools that have natural grass fields. The School Board also requested $5.6 million to buy 34 school buses, textbooks and digital learning resources. Although the School Board customarily offers explanations for its fund balance requests, and according to County Administrator Tim Hemstreet, has never spent that money differently than it promised, the county cannot earmark money it sends to the schools. The School Board can spend that money however it sees fit.